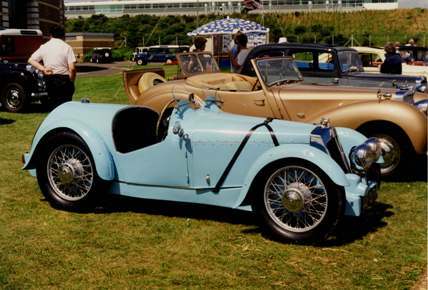 These high quality low slung sports cars were initially based on Triumph Super Eight components. About 100 Vales were made in Maida Vale, London in the 1930s. An excellent book on the story of the Vale Special has been written. Titled ‘Ave Atque Vale’ (ISBN 0-9553010-0-9) it is available from its author Dave Cox. 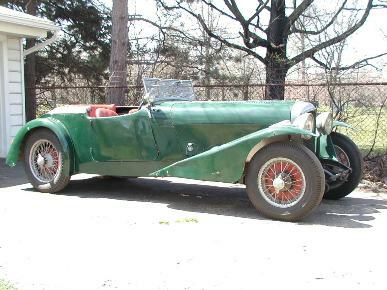 They had the appearance of a small Bentley, were made in small numbers and in 1935 they were powered by the same 6-cylinder Coventry Climax engines that Triumph were using at the time. Marendaz replaced the standard engine head when they developed their own 3 separate heads for this engine. This model was successful in competitions, making a good name for itself. Satisfied owners included Stirling Moss’ parents.